Faruqi & Faruqi Law Blog: Faruqi & Faruqi Alert: Investment Technology Group, Inc.
Faruqi & Faruqi Alert: Investment Technology Group, Inc.
Faruqi & Faruqi, LLP, a leading national securities law firm, reminds investors in Investment Technology Group, Inc. (“Investment Technology” or the “Company”) (NYSE:ITG) of the October 5, 2015 deadline to seek the role of lead plaintiff in a federal securities class action lawsuit filed against the Company and certain officers. The lawsuit has been filed in the United States District Court for the Southern District of New York on behalf of a class consisting of all persons or entities who purchased Investment Technology securities between February 28, 2011 and August 3, 2015. The lawsuit alleges that the Company’s subsidiary, AlterNet Securities, Inc., operated a proprietary trading operation from 2010 through mid-2011 inside of Investment Technology’s POSIT dark pool. Furthermore, the complaint accuses the Company of knowing that the proprietary trading operation used information from customer stock orders within Investment Technology’s dark pool, as well as information from clients that used the firm’s algorithms to execute trades on other trading platforms. 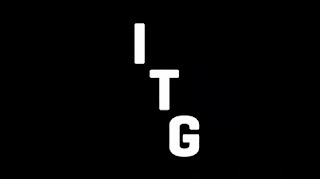 The wrongful actions and conflicts of interests came to light when, on July 29, 2015, ITG issued a press release announcing the underlying misconduct of its employees and subsidiaries. After the announcement ITG’s stock price fell approximately 23.5%, or $5.64 per share, to close at $18.36 per share on July 30, 2015. Then, on August 4, 2015, the Company’s Chief Financial Officer announced in the Company’s earnings call for the second quarter of 2015 that the Company would be hit by a significant amount of legal fees due to regulatory investigation into the Company’s conduct. After the call, on August 4, 2015, ITG’s share price fell approximately 5.28%, or $1.03 per share, to close at $18.48 per share. Finally, as part of an investigation into insider misconduct since the Fall of 2013, the SEC announced its settlement with ITG confirming that the Company would pay disgorgement of $2,081,304, prejudgment interest of $256,532, and a civil money penalty of $18,000,000. If you invested in Investment Technology stock or options between February 28, 2011 and August 3, 2015 and would like to discuss your legal rights, please contact us by calling Richard Gonnello toll free at 877-247-4292 or at 212-983-9330 or by sending an e-mail to rgonnello@faruqilaw.com. Faruqi & Faruqi, LLP also encourages anyone with information regarding Investment Technology’s conduct to contact the firm, including whistleblowers, former employees, shareholders and others.